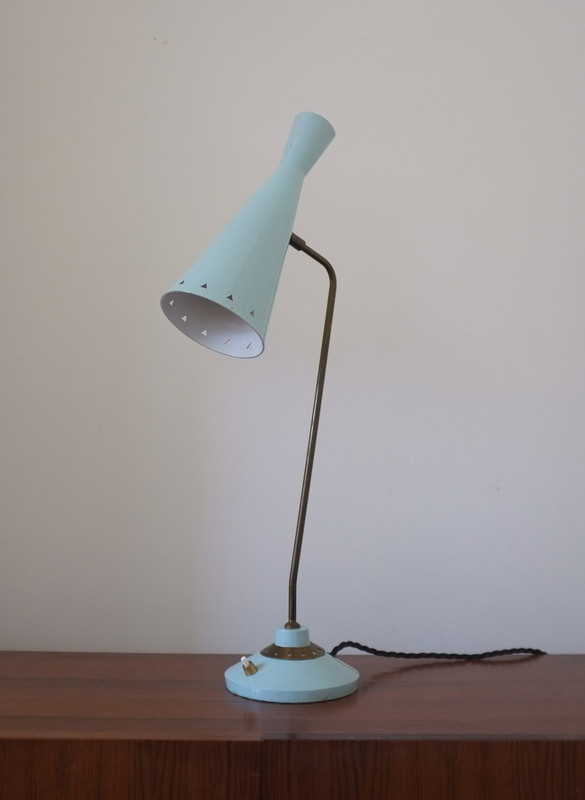 A 1950s desk lamp in original baby blue paint. 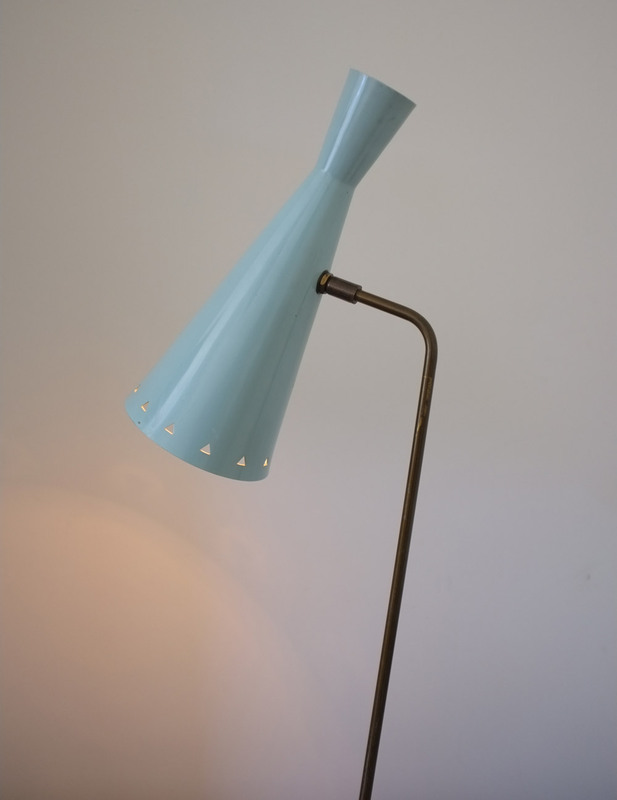 Brass upright and a nicely shaped shade with triangle cut-outs. In good condition with some light wear to the paint finish. Dimensions: 59cm high, shade is 26cm long.